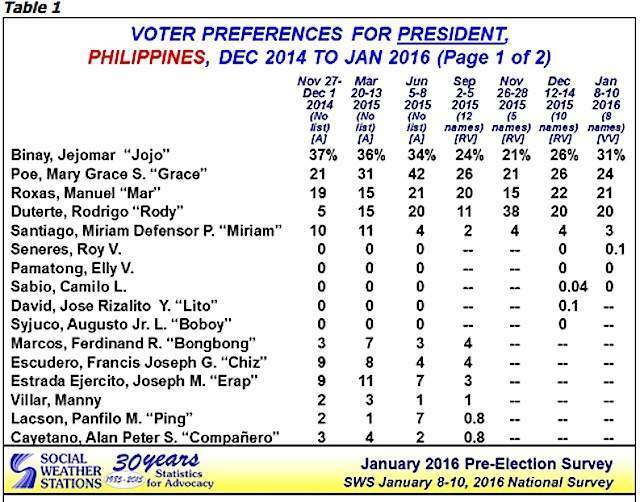 Binay, Escudero top January 2016 SWS pre-election survey - Balita Boss! In the latest Social Weather Stations (SWS) pre-election survey released on Friday, January 15, Vice President Jejomar Binay and Senator Francis "Chiz" Escudero still maintain their lead against their rivals in the May 2016 elections. According to report from Business World, the survey conducted from January 8 to 10 among 1,200 validated voters nationwide showed voters' preference for Binay rising to 31% in January, from 26% in December, and among vice-presidential aspirants Escudero ranked first with 28%, down from 30%. 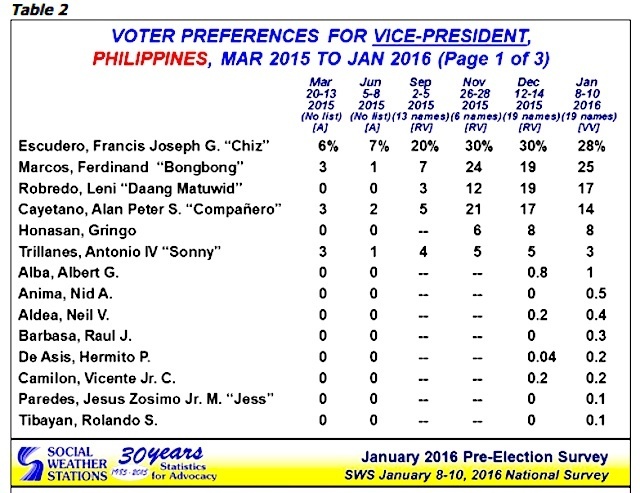 For the complete results of SWS January 2016 Pre-Election Survey, click here.